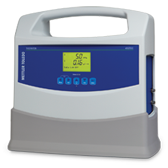 The 450TOC Portable TOC Analyzer provides proven continuous measurement technology, the 450TOC offers the fastest response available in a portable analyzer. Convenient multi-point sampling capabilities make the 450TOC a valuable tool for periodic sampling and water system diagnostics. The 450TOC portable total organic carbon analyzer offers continuous measurement that can conveniently be moved from sampling point to sampling point. Quickly capture and analyze results with on-board USB data collection. Export to a spreadsheet or printer for hard-copy record keeping. Compliance Comes Easy. 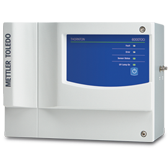 The 450TOC analyzer is designed for compliance. It meets the regulatory requirements for all major global pharmacopeias, including USP<643>, EP2.2.44, ChP and JP16. The 6000TOCi on-line TOC sensor delivers reliable data to demonstrate compliance in Pharmaceutical water systems. The high performance sensor provides real-time data, internal diagnostics and reporting to easily meet audit requirements. Achieve clear control of your water system with the fastest response time available and measurement updates every second for continuous TOC analysis. The 6000TOCi uses proven UV oxidation technology and highest accuracy conductivity sensors to deliver consistent and accurate organics determination. Using advanced sensor diagnostics, the 6000TOCi gives you the insight needed to ensure your TOC system is always measuring effectively.